Summit Gastroenterology (Denver) - Book Appointment Online! 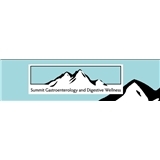 ***PLEASE CHECK IN 30 MINUTES PRIOR TO YOUR SCHEDULED APPOINTMENT TO FILL OUT PAPERWORK**** Welcome to Summit Gastroenterology, the premier GI wellness practice in Denver, Colorado. In today’s era of increasingly rushed, fragmented and impersonal medical service, we feel patients should have an alternative. That is why we're here. Our mission is to provide extremely personalized, concierge-like service for those seeking comprehensive gastroenterological care. Our practiced and experienced staff is here to provide the prompt, helpful service you seek. Please use this Web site to learn more about our clinic and services and explore the differences you will find here at Summit Gastroenterology. If you have additional questions, feel free to contact Kristie, Lolis or Dr. Burrows.